Earlier in the year, in our Strictly Boardroom column, we considered alternatives to the challenge of vertical integration in the minerals industry. In some commodity industries, such as gold, copper, and nickel sulphides, the majority of the value of the final ‘metal’ product flows back through to the miner – with smelters, refiners, traders and others further downstream making thin margins. In others, the value can be in the mid-stream or down-stream. This is common in minerals industries where processing is complex, the industry is ‘niche’, or it is otherwise concentrated. Many of the commodities currently exciting investors due to their involvement in the renewable energy and battery sector are of this latter type – lithium, rare earths, graphite etc. In these industries, miners, or potential miners, often feel compelled to integrate downstream to catch a greater amount of value for their product. Unfortunately this presents a couple of major challenges: first greatly increased unit capital costs; and secondly, that downstream activity falls outside the expertise typical of mining companies, and especially junior explorers, both of which make failure more likely. It is therefore worth considering alternatives to vertical integration, which still capture some of the downstream value, but remove the risk and cost of physically doing it. Potentially, both value-in-use and game theories may help. Value-in-use involves recognising the value that your product or raw material adds to someone else’s product: rather than getting paid what your product is worth to the ‘market’, you get paid what your product is worth to a specific ‘needy’ customer (i.e. more). Without your product, they would not have one either! The analogy here is salt and fish. Both markets face problems. Salt is low value and bulky so hard to sell over long distances restricting it to a ‘local’ market. 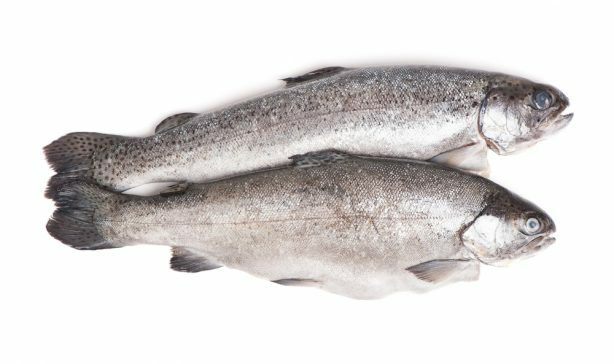 Fish is perishable, so is similarly difficult to transport over long distances and thus to a wider market. However, by adding salt to the fish, it can be transported over long distances, ideally to a market where fish is in shortage and thus highly valued. The trick here for the salt miner is to ensure some of the extra value of the salt fish flows back to them and does not stay with the fish seller (obviously the fish seller will try to stop this). Value-in-use isn’t always recognised across the industry, but trading-savvy companies such as Glencore make good money with the application of this theory. Another idea is to borrow from game theory. One of the key tricks in the corporate world of game theory is to avoid creating competition for free. Buyers benefit from competition as it forces down prices – indeed just the threat of competition can force down prices on suppliers. If you are considering entering a new market, you are creating value for buyers in that market, just with your presence. Game theorists will thus try to capture some of this value by getting paid to play – which has the nice upside of not actually usually having to do much! We think we’ve seen the reverse of this in the minerals industry already; with savvy minerals buyers (especially of niche commodities) using the threat of new entrants (often junior miners) to negotiate down prices on their existing suppliers. Sometimes buyers will even sign a (non-binding) MOU with a junior explorer as part of the game. However, all the value flows to the buyer as reduced prices from their existing supplier. Perhaps junior explorers should seek payment for this service! Obviously, both these ideas are easier to implement in theory, than in practice. Nonetheless, the cost and difficulty of vertical integration suggests that they may be worth, at least, thinking about.